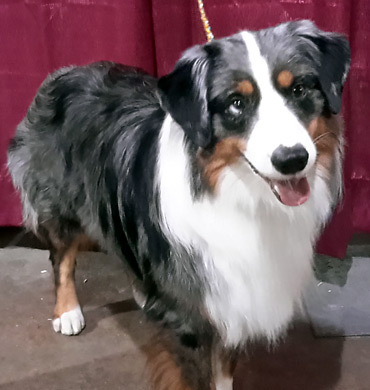 Deacon is the son of Remi and Kizzy. 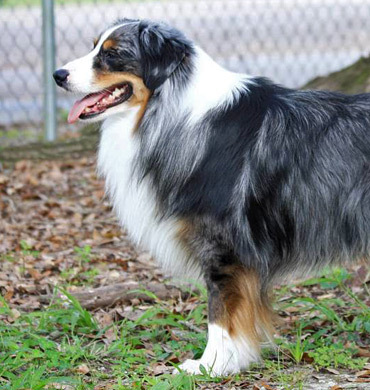 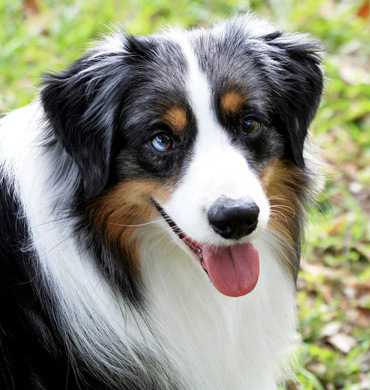 He is one of our most athletic dogs and is simply stunning to see in person. 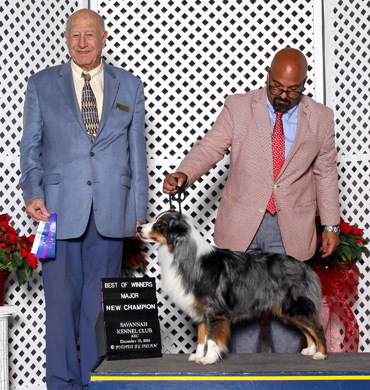 Deacon is an AKC Champion and does a great job in the ring. 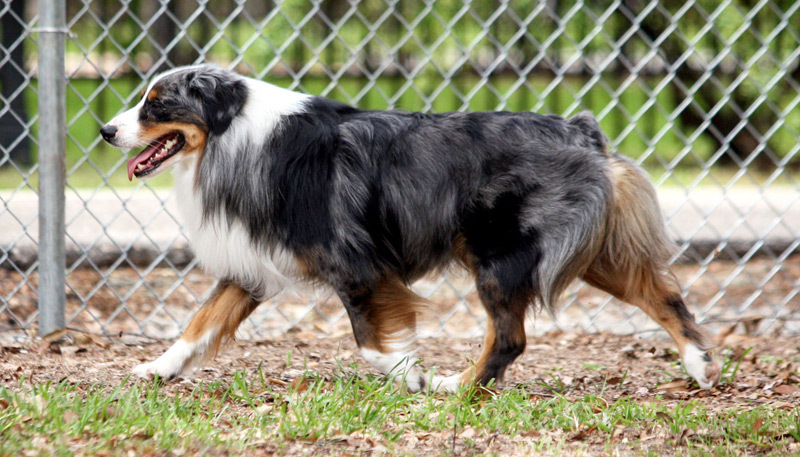 He has a stunning side gait and a great attitude. 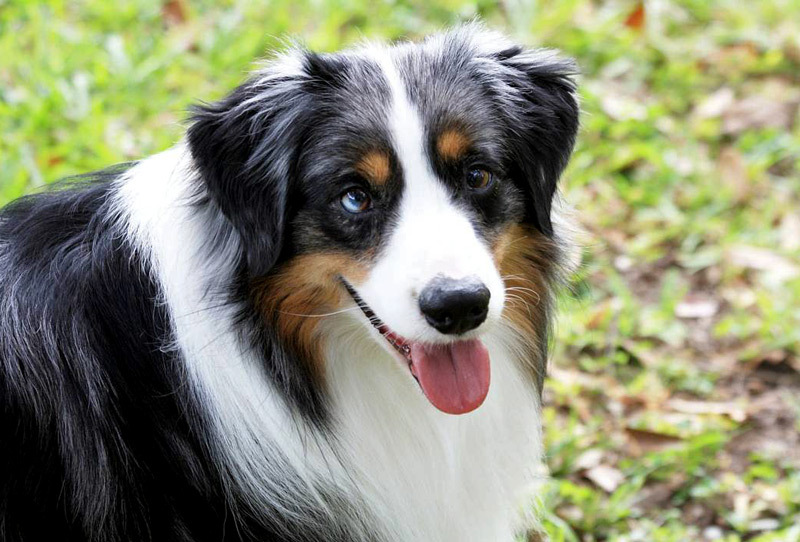 Deacon is co-owned with Trey Hebert in Baton Rouge, LA, but joins us in Savannah to show. 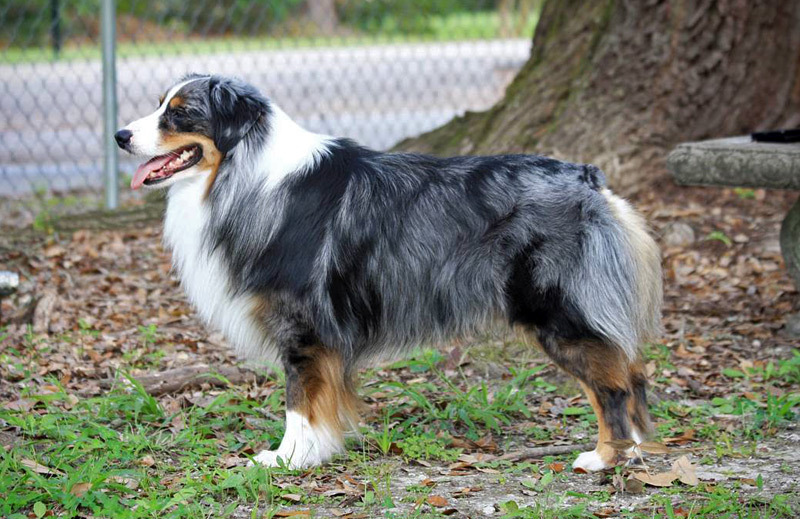 He is available to stud to approved females and has already produced a stunning litter, with Rose Court Minis, that produced a Champion at 7 months old. 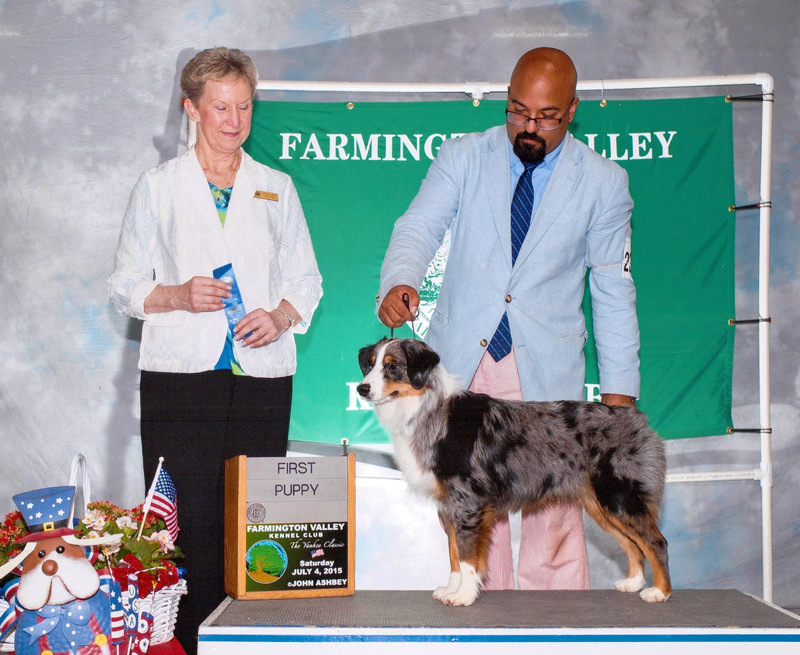 We look forward to continuing to see Deacon in the show ring and watching him mature. 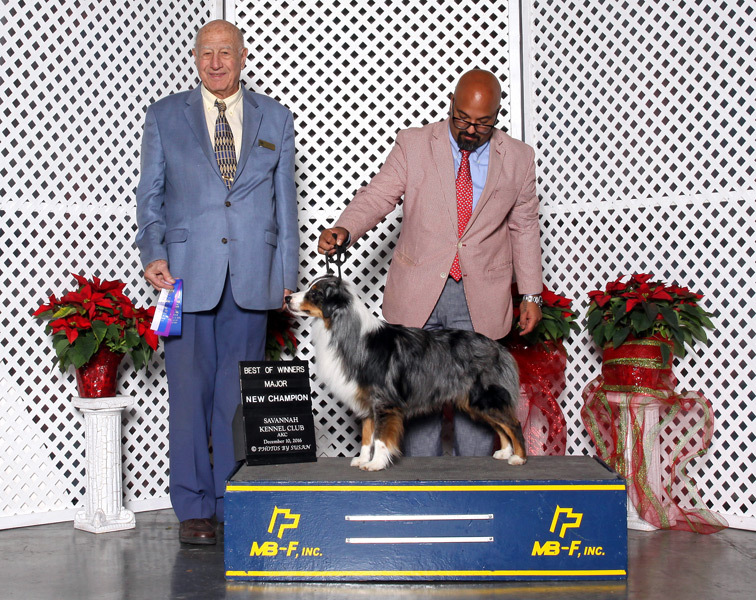 Deacon earns Best of Winners and New Champion at Savannah Kennel Club on 12/10/16. 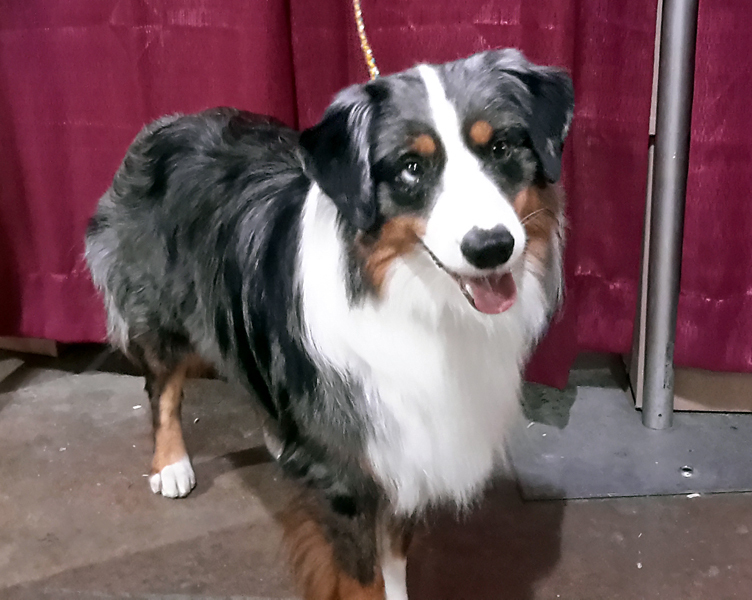 Deacon at Lima Kennel Club on 11/19/16. 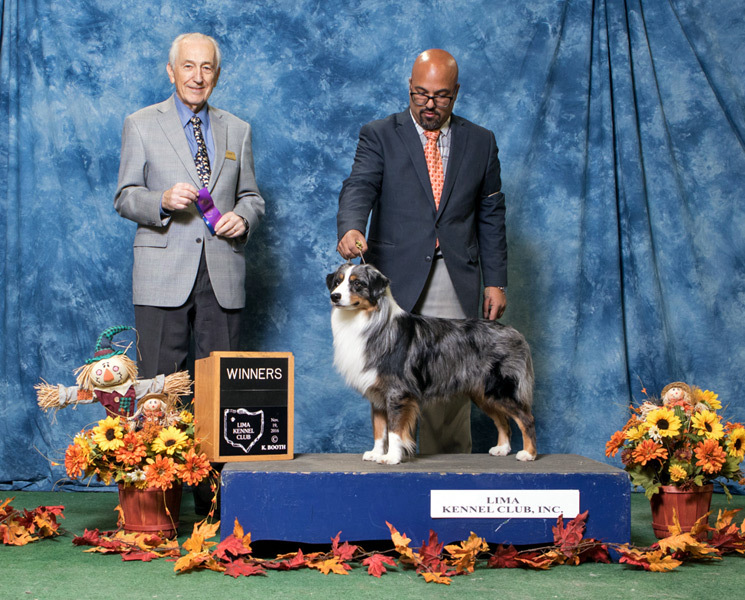 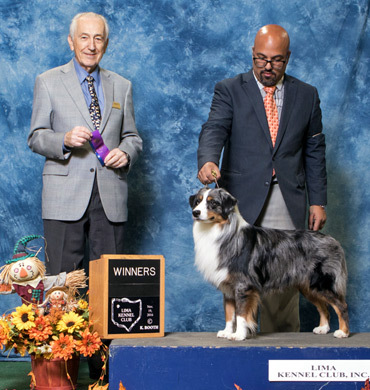 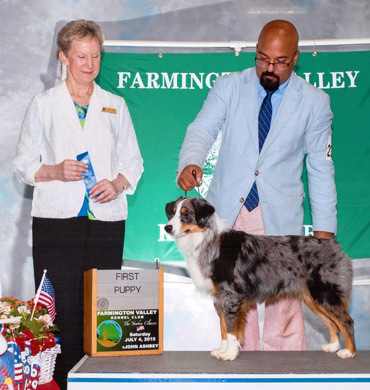 During his first weekend of showing in AKC, Deacon took two 1st-place wins in the Puppy Class and competed for Best Puppy in the Herding Group at Farmington Valley Kennel Club on 7/4/15.